Some time ago I came across this lovely little gem for sale second hand on a forum. I just had to have it. 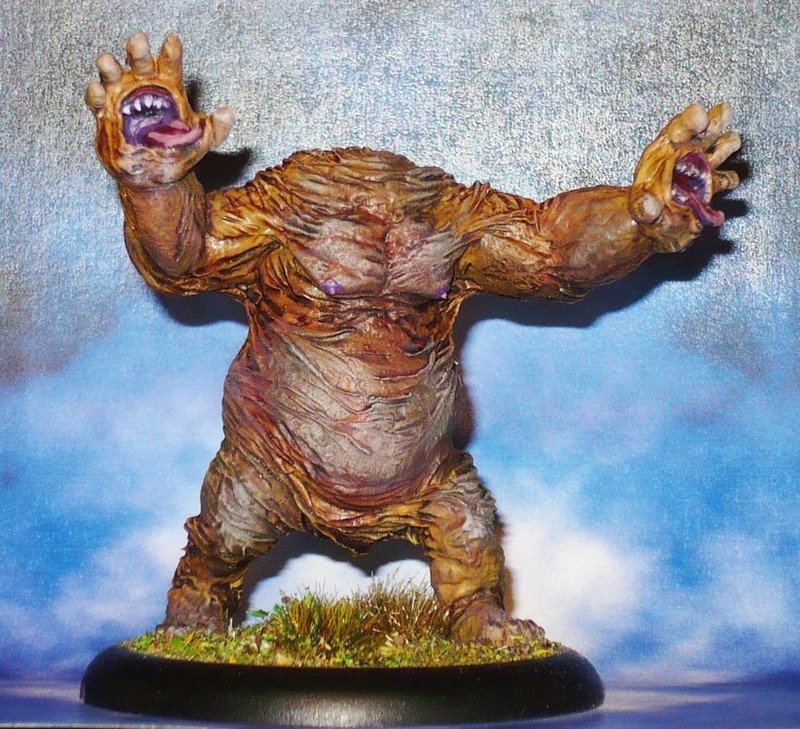 Originally from one of Ramsay Campbells short stories, this is one of the few great old ones that can/bothers to communicate with humans, taking a humanoid form like headless fat man with mouths in his hands who likes to snack on whomever summons him. For my part, I am thinking this mini will do nicely as a bear in Frostgrave. Or a greater demon. Somehow, I think it will see more use as a bear. It will be a pretty intimidating model to face anyhow. Easier to draw a line of sight to though on account of it’s size. NextPutting the C in Barbarian!